Confined spaces are common hazards in many workplaces. Improper use of these spaces can lead to severe injury or death. Skilled workers like electricians, plumbers, and engineers routinely work in small, dangerous, and close-in areas. Warehouses, service centers, and farms are also known for housing hazardous spaces. How can you keep your employees safe in confined spaces? Has a potentially hazardous atmosphere, such as high levels of flammable gases. Contains material that may bind or engulf those who enter the space. Is constructed so that someone in the space may be trapped or pinched by walls, flooring, or other movable structures. Houses which are a recognized health or safety hazard. A space that requires permitting can be reclassified if the employer is able to prove all the following points. Forced air ventilation provides enough clean air to make the space safe for entry. The previous claims must be supported by monitoring and inspection data. The permit process protects employees from preventable accidents. Per OSHA regulations, permit-required confined spaces must be clearly marked. If employees are allowed to access the space, employers need to provide a written document that clearly spells out safety protocols. This includes personal protection equipment (PPE), procedures, and pre-entry testing information. It may also list information on how to rescue someone trapped within the space. A formal training course is recommended for any employee who accesses confined spaces on a regular basis. This type of training has many benefits. Accidents are less likely to happen when employees are made aware of possible dangers. If a problem does occur, previous training allows workers to respond quickly and appropriately to give or call for help. Instructor-led training increase understanding of the material. Knowledgeable employees are better equipped to recognize and report unusual conditions. 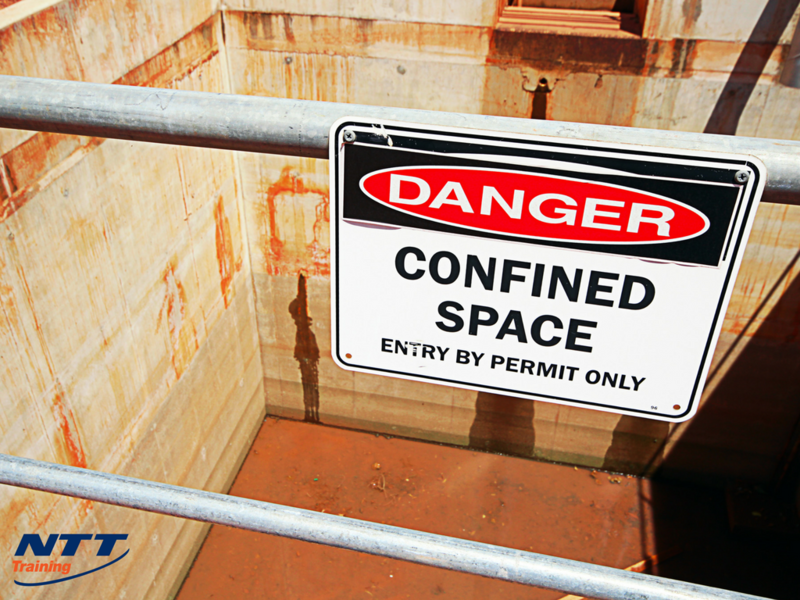 Making employees aware of the rules involving confined spaces ensures they will always meet OSHA safety requirements. While written documentation is required for all permit-required confined spaces, having the documents on hand does not guarantee your employees will read them. A short group training gives your workers the basic knowledge they need to stay safe in hazardous conditions. The locations and hazards of each confined space in the workplace. The process for safely entering and exiting the space. Who is authorized to access the space, and under what circumstances. What equipment to use when attempting to rescue someone from the space. Which PPE works best for the space. Working in confined spaces with contractors or employees from other companies. Make sure you and your employees are prepared for the hazards of confined spaces with the Confined Space Entry training from NTT Inc. This one-day course teaches everything you need to know about entering, evaluating, and working in confined spaces. This course also covers developing and implementing a written program for permit-required spaces. NTT’s instructors will visit your site to deliver training that is relevant to your workspace and industry. Contact our representatives now to schedule your on-site safety training.